Real rosewater has been made for thousands of years. It’s distilled from pure rose petals and remains as nature intended with no artificial additives. Purvari Rose Petal Mist is clearly marked, “steamed distillate rosa damascena,” which lets you know that it was made by steam-distilling pure rose petals. Purvari Rose Petal Mist is made using only two ingredients: pure water and the petals of organic Ganganagri and Pushkar wild roses. 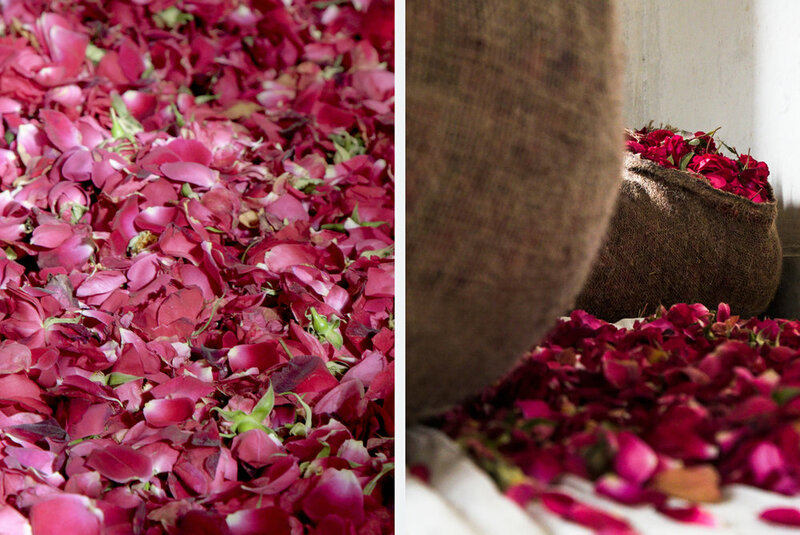 Our pristine rose petals are hand-picked on organic rose farms nestled in Rajasthan, “Land of Kings,” an area known as the jewel in India’s crown. 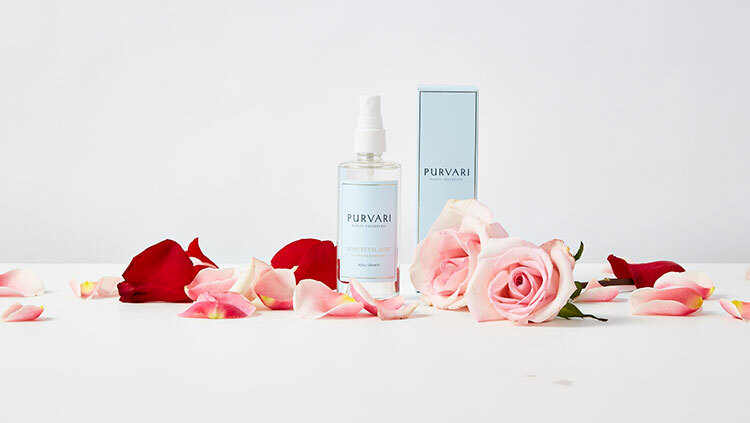 To ensure the purity of Purvari Rose Petal Mist, our roses are grown without pesticides or harmful fertilizers that could corrupt the integrity of our product or inhibit its skin benefits. When comparing Purvari to other brands, examine the ingredient listings. The longer the ingredient list is, the less pure the product. Additives are added to increase shelf life or replace natural ingredients. Often, if the roses have been over-processed, altered or irradiated, they will not have a potent rose smell. Some brands add fragrance to make up for the weak scent of poor quality petals. If you see fragrance on the ingredient listing, it usually indicates that the aroma is not from the rose itself, but a fragrance that has been added to satisfy the unknowing consumer. 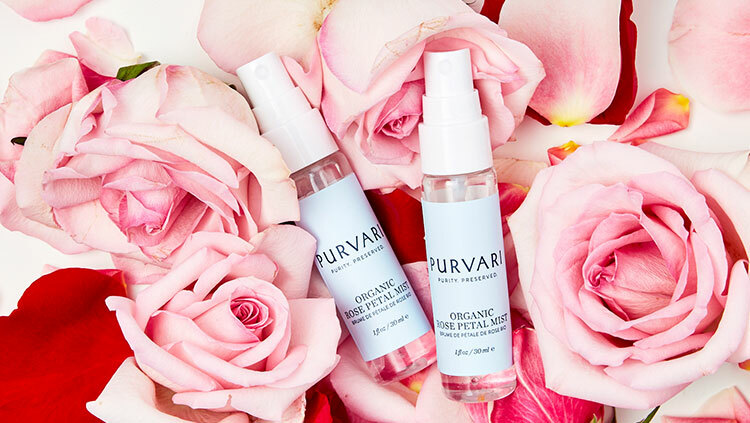 Each bottle of Purvari Rose Petal Mist is 100% natural and made with approximately 250 grams of organic rose petals. 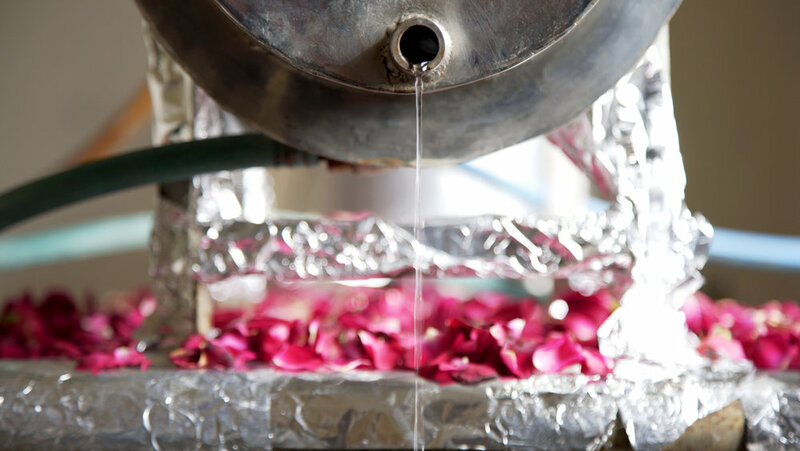 We follow a traditional steam distillation process, handed down for centuries, that gently coaxes fresh petals to release microscopic droplets of rose oil and water-soluble nutrients. Unlike other brands, our petals are distilled only once—ensuring that your mist contains all the whole nutrients of the rose. 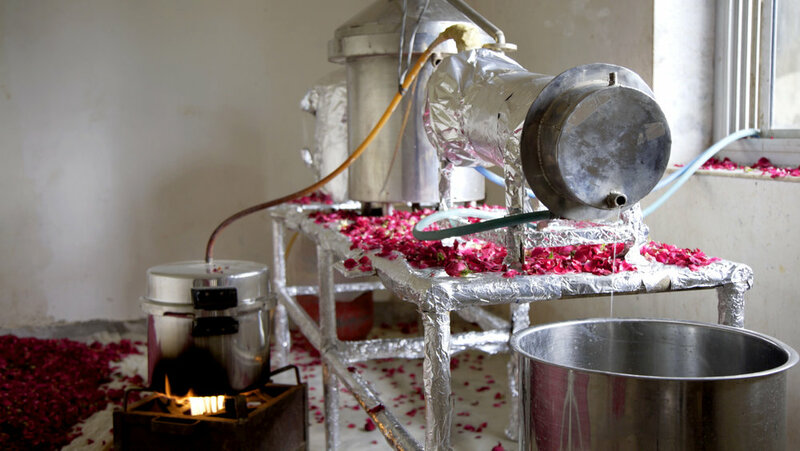 After distillation, the rosewater is cooled and mixed to suspend the natural oils in the water. 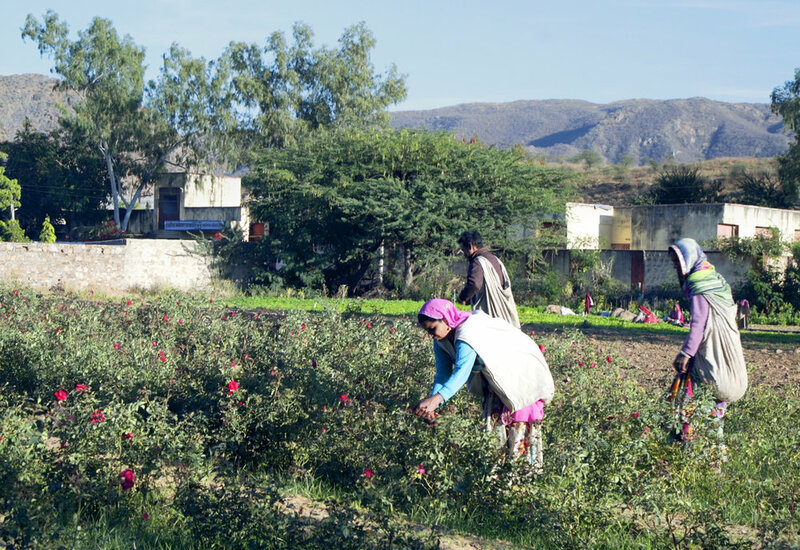 We harvest our rose crop all year long and pride ourselves on the time and energy we put into producing the finest rosewater on the market. There is a world of difference between steam-distilled rosewater and the partially or wholly synthetic concoctions produced in a lab and sold as rose flower water, rose flower extract, and in some cases, rose hydrosol. Watch out for products that are simply water mixed with rose essential oil and fragrance; these do not contain the same beneficial plant compounds extracted through distillation. 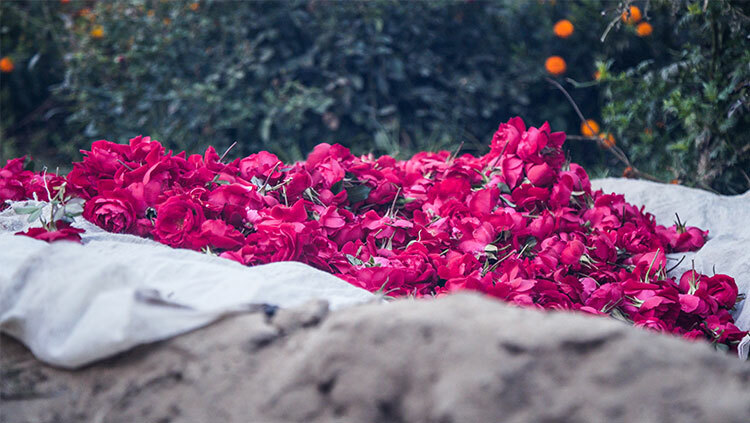 If you see fragrance added, it is often a sign that the roses have been distilled multiple times to remove as much of the expensive rose oil as possible, compromising the holistic properties and scent. We have also seen synthetic fragrance mixed with water and sold as a rosewater spray; these products have no therapeutic value for your skin and are nothing more than diluted perfume. Thanks to our traditional steam distillation method and lack of coarse manufacturing processes, Purvari Rose Petal Mist stimulates, softens, and hydrates your skin in genuine luxury. By hydrating the skin, the mist reduces the look of lines and wrinkles on the face, while antioxidant plant compounds help visibly brighten the complexion and protect it against free radical damage.